Q. What savings will be gained from this merger and what affect will it have on the average residential rates? 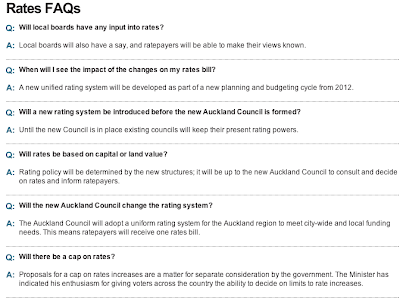 I don't see that anywhere, just a vague: "When will I see the impact of the changes on my rates bill?" to which the answer is: "A new unified rating system will be developed as part of a new planning and budgeting cycle from 2012." If there are no target savings - in the aggregate - then it's a bad start already. What is the point of amalgamation if there is no expectation of improved value? The equally vague references to the Act policy of capping rates is probably too risky for the Nats to back; but ideas have been floated that a cap of sorts could be applied to local boards' rates (rather than the Council's total rates) - as a way of the Council keeping control over what the boards can do. Nothing has been mentioned yet, but it would not be surprising if things like that are introduced at the last minute in parliament in keeping with the way the other two establishing bills were conducted, or frog-marched, into the statute books. Auckland City: the UAGC for next year goes from $250 to $315 per household - I calculate this to be a rise from 15.8% of the average residential rates to 19%. 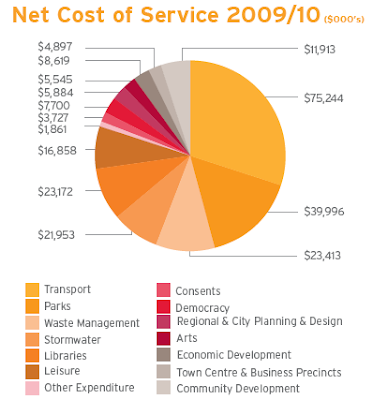 The Council rate requirement of 4.95% (2.97% Council controlled costs and 1.98% regional levies and external costs) for the 2009/2010 year. 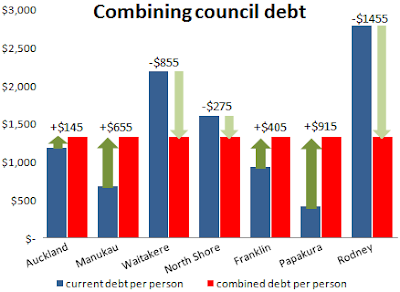 The rates billed for Manukau ratepayers have risen by an average of 3.8% for the 2009/10 year to meet the costs of the city's asset development programme. The Annual Plan 2008/2009 proposes a 5.9% rate increase. They are doing their best to stop people finding out how much their rates are and what their budget is. 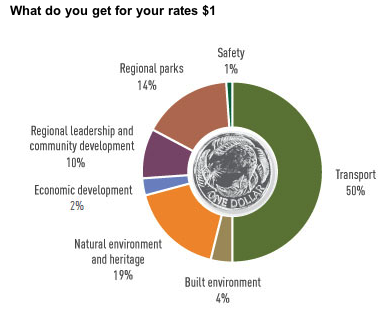 $1,813 average residential rate for 2008/2009 year in the annual plan. And 2007/2008 is the best I can do for UAGC: $728 - and at the 30% cap too. The average annual regional rates increase this year is 3.92%. Where I live the ARC rates are $198. If they can rate those areas separately they can rate an area based on how close they are to a railway platform. A transit rate of 1.0 if you are within a mile/1.6km and 1.5 if within a km of a railway platform. That would encourage them to build the system with new lines to include as many people as possible. From the current map we can take it a bus every twenty minutes at peak times is what the rating system is set to encourage. 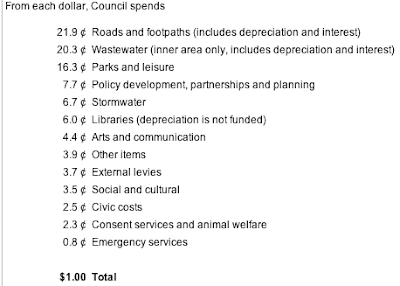 The average ARC rates are $350 this year, the other councils on top of that, many times higher. 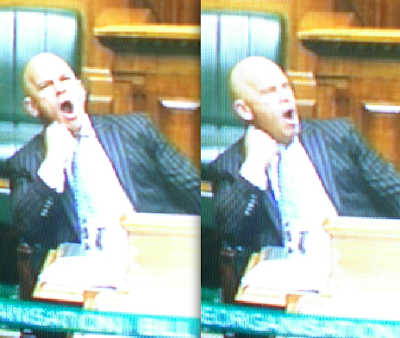 Barring direct representation on the Auckland Council for Maori is the only thing I can recall him being really adamant about - that would look a lot less like uptight conservative racism if he was equally adamant on other issues too. If Rodney was threatening to resign on issues of tax or civil liberties once in a while it might help. And the next most popular thing to help restore Rodney and to salvage his "Super City" vision would be to turn it over to the locals for that critical public mandate that it has never had. Make it more happy town than Über Stadt. It is too late for a properly organised referendum now - the time for that has come and gone - most people would now concede this. 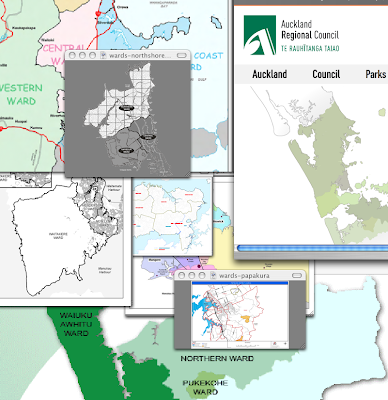 The blitzkrieg tactics have served him well on the paperwork side; but as a PR job it has been a disaster and without a concrete form of democratic authority the unitary Council he wants to create, and that most of the Auckland public would actually have wanted at the time of the Royal Commission, risks being fatally poisoned. The only thing that can stop Rodney Hide might be Rodney Hide. Does he really want to impose something that will fail, and for which he will be blamed? How hard are these positions he has taken? That the Cabinet has taken? They reversed themselves in less than a fortnight over the northern boundary of the city - what's to stop them reversing themselves again? The only thing that can stop Rodney Hide's vision for Auckland is a very structured and concise alternative position articulated and voted on and overwhelmingly endorsed by people with a public mandate in Auckland. Nothing short of that will change any minds. I can't see the NZ Herald having much sway - late as they are to join the party of super-skeptics. The constitution of Auckland is being written through an unnecessarily partisan process - and this third and final bill will end up being rammed through parliament before the Crown's 20th of May budget. That's the timetable - two months, max. 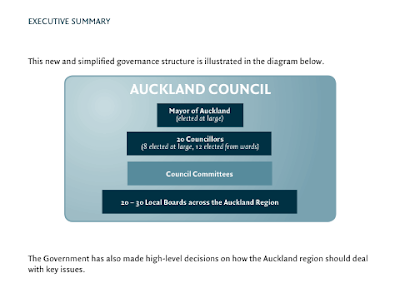 What can be done to avert a law that will leave Auckland with an unresponsive bureaucracy and an overly-concentrated amount of power in a very few hands with the local communities unable to make real decisions? What can be done about that inside a two month window? One of the possibilities is to convene a conference tasked to resolve the issues. 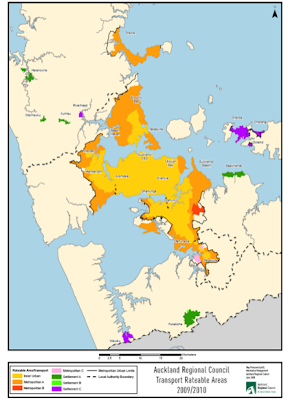 Invite every locally elected representative: District and city councillors and board members, liquor licensing trust members, elected health board members, Iwi/Maori Trust board members - all the Crown and Iwi bodies with elected officials in Auckland in a territorial condition - ask them to thrash the third bill over. 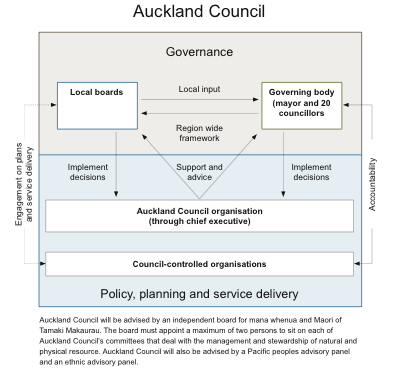 In the absence of a referendum some sort of conference may be the best way of getting the necessary sets of decisions reflecting the community concerns regarding many aspects of the Auckland legislation. The local government minister could lay out some parameters, based on the first draft of the bill. He can at least set the agenda - provided he binds himself to go through with any outcome carried by the conference that sits within his parameters. I think he could set the pre-conditions wide enough to get a buy-in from the super-cynics, but end up with something that he could at least begrudgingly pass; all of it may not be his preferred option. Hide may have enough populist instincts left to see he has to bring a lot of people with him to make this work - to bequeath a legacy rather than inflicting a regime that will be heavily amended or repealed at the earliest opportunity. No-one wants to be associated with a project with which most people forced to be involved have convinced themselves is doomed to fail. A weekend conference could be organised well within that timeframe. The agenda - days rather than weeks. Depending on how radical something as unique as this could be taken, he could even ask the select committee members to facilitate sessions. Work it out. Invite the participating organisations to send staff. All-in. They will be able to come up with solutions to most issues, but some may prove beyond consensus - in that case Hide will decide. There are options open.